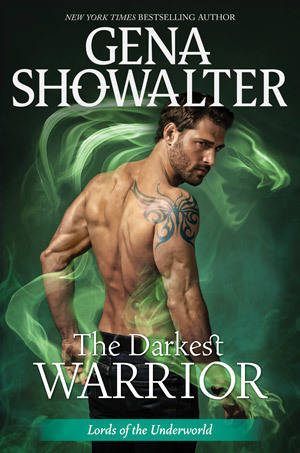 About the Book: A searing Lords of the Underworld tale by New York Times bestselling author Gena Showalter, featuring a beastly prince and the wife he will wage war to keep. About the Author: Gena Showalter is the New York Times and USA Today bestselling author of over thirty books in paranormal and contemporary romances, as well as young adult novels. Her series include White Rabbit Chronicles, Angels of the Dark, Otherworld Assassins, Lords of the Underworld, Alien Huntress and Intertwined. Do I Recommend this book? The whole series! Notes and Opinions: I freaking love this series! It is very adult but nothing too bad. Since basically the beginning of the series, I've been a huge Gillian and William shipper. I mean there were so many hints and what not towards them getting together...well this book just said F that and lets give Gillian a new guy! That reeeeally threw me off. Why would Gena do that? Honestly, I didn't want to read this book but I took the chance and I fell in love with Puck. Like more than William. *gasp* Shocking I know. But they had to much chemistry. They just clicked. I have to say that this was my favorite book in the series. Oh! And William has not been forgotten! The next book is all about him!! I'm soooooooo freaking excited! !